Many types of food have a positive effect on your skin. A mask made from egg whites and lemon tightens your pores and tones your skin. Applying this combination may also clear dead skin and prevent wrinkles. Preparing a facial mask from lemons and egg whites is more economical than purchasing one at the store and doesn't contain any chemicals, fragrances or dyes that could irritate sensitive skin. Wash your face. Remove any makeup, lotions and sunscreen. A clean face allows the egg white and lemon facial mask to penetrate your skin better. Use facial cleanser rather than just water, which effectively removes all oil and skincare products. 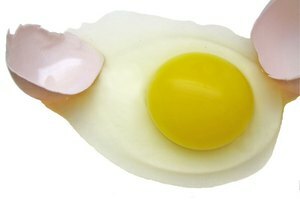 Separate the egg white from the egg yolk. Use an egg separator held over a small bowl and allow the egg whites to fall into the bowl. Discard the yolks or save for a baking recipe. 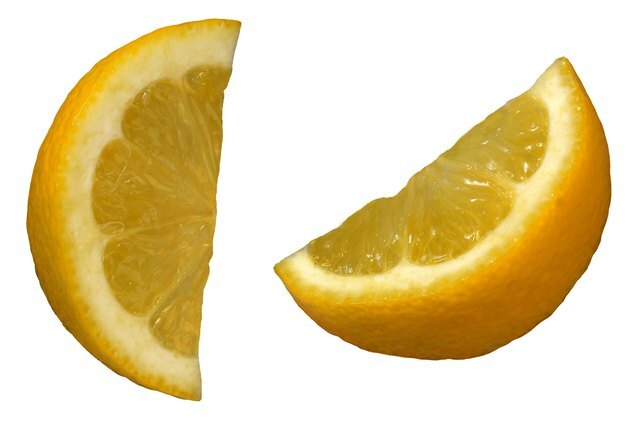 Add the juice of one lemon. Place a strainer over the bowl and squeeze the lemon juice into it. This will prevent any seeds or pulp from getting into your facial mask. A juice strainer is another good way to extract the juice from the lemon. Beat the egg white and lemon juice mixture for three minutes with a wire whisk. This ensures that the two items are well combined, which allows it to provide the same benefits to your whole face. A fork or electric beater are alternatives that work well for mixing. Apply the egg white and lemon mixture to your face. Use your fingers to spread the facial mask evenly over your entire face. Avoid your eyes and mouth. Allow the mixture to sit on your skin for 30 minutes. Rinse with warm water. Splash it on your face directly over the sink, step into the shower or use a warm washcloth to remove the mixture from your face. 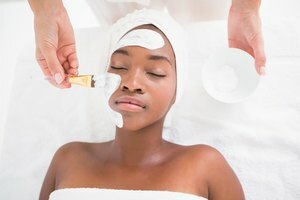 If you experience any skin burning or pain while the egg white and lemon juice mask is on your skin, remove it immediately. If you have a skin condition, consult your dermatologist before using a homemade facial mask. If you are allergic to eggs, you may experience contact symptoms if you apply eggs to your face. Ask your doctor before use. 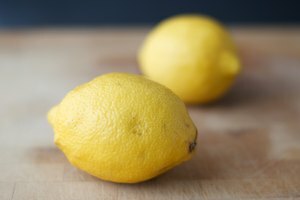 Roll the lemon on the counter with the palm of your hand or place it in the microwave for 30 seconds, which will get the juices flowing, making it easier to squeeze.